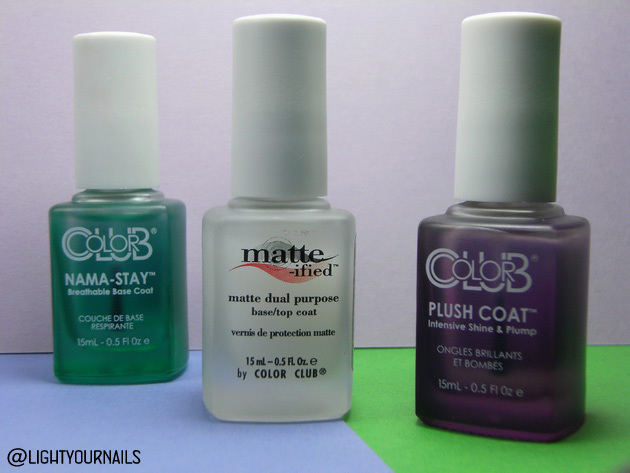 Color Club Nama-Stay, Matte-ified, Plush Coat | Light Your Nails! Nama-Stay (oltre che per il nome :D) è un prodotto che mi stuzzica da un po'. Siccome anche io necessito di un trattamento perenne, ed il mio rinforzante abituale funge anche come base, sarei curiosa di provarlo come strato intermedio tra il rinforzante e lo smalto. Esatto, io sono per poca roba e veloce! Insomma, vedo con piacere che non sono l'unica matta del pollaio. Non mi sono trovata affatto bene con i due tc. Sicuramente non riproverò il tc matte, nonostante sia stato riformulato, anche perché ne uso uno da 4€ e funziona alla perfezione. A me piaceva il fatto che fosse più suede che matte devo dire, ma così no, non posso lanciare la moneta e sperare che esca la faccia giusta insomma! The plush coat sounds really interesting! Too bad it takes forever to dry. I have never seen any of these products in a store...and that breaks my heart. Great and thorough review! I like how you are taking it almost point for point and breaking down the intent of product and how it worked. Great writing. It is so odd for the Matte to only work on some nails and not others! 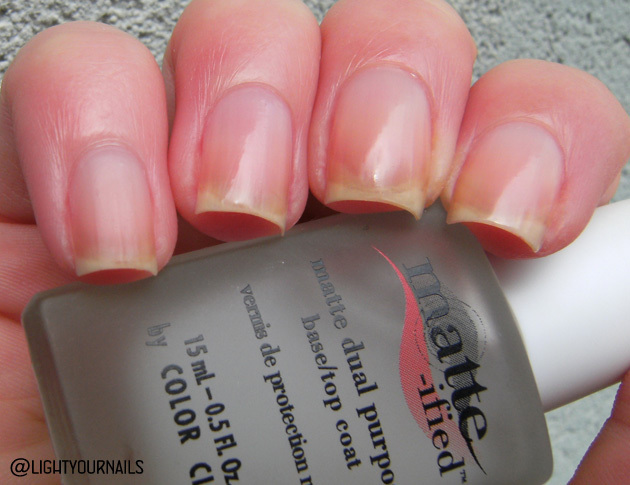 I had a different matte top coat at one time that was like that, but I cannot recall the brand. I wonder what that is about! I couldn't find a common point for it to do so honestly! That's a bummer about the matte coat. Manglaze is like that, too. The colors are pretty, though! I thought it was incredible but it looks like it's not the only one! That matte combo thingy is one of the weirdest things I've ever seen. I actually don't like a base & topcoat in one product, to me each product are formulated for a specific purpose. I tend to agree with you about that Léanie! So wird that the Matti-fied doesn't always work! But thanks for this in-depth review :). I hope it's helpful Deborah! Wow, I have never heard of a matte TC only sometimes working! How strange! I will have give the matte top coat a try! That matte topcoat sounds so odd? I wonder why it does that....the base coat sounds great though! Ci ho pensato, ho provato a lasciare asciugare e stendere un altro strato di top coat ma non è cambiato nulla. Io poi uso sempre strati spessi quindi se il limite è quello diventa inutilizzabile per me!